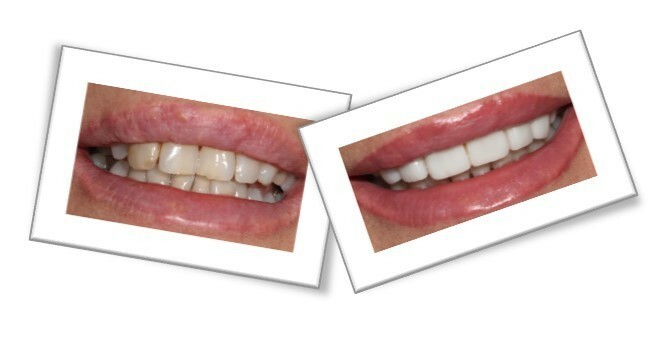 Fantastic results can be achieved by using various techniques of cosmetic dentistry - anything is possible from small composite repairs to full mouth transformations. 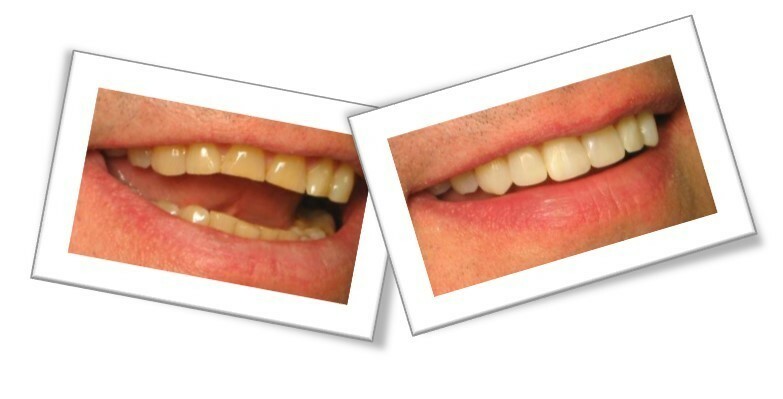 If you are unhappy with the way your teeth look, then don't despair - there are lots of options available to improve your smile. All of the dentists at Standish Street Dental Practice enjoy the process of combining their routine care with providing the most aesthetically pleasing restorations for our patients. The best way to make sure that any improvements to how your smile looks are going to last is to build on solid foundations of healthy teeth and gums. Therefore, the first step towards a "Hollywood smile" is to achieve a level of dental fitness through regular visits to the dentist and by utilising good oral hygiene habits. All these, and many more, can be rectified by using modern dental techniques. All ceramic crowns and bridges have become a viable alternative to their metal-ceramic predecessors. With advances in technology they are now both comparable in strength to metal bonded crowns and offer far superior aesthetics. More dentists and patients now elect to use these natural looking crowns and bridges when (re)creating their smile. As there is no dark metal base our skilled technicians can confidently reproduce the natural layers of our teeth with porcelains of different shades. Composite resin is a name for one of modern tooth coloured filling materials. Made of durable resin it can be bonded directly onto the tooth surface quickly and easily for a strong, natural looking repair. As dentistry has advanced, the latest tooth coloured filling materials can now be used directly on teeth, just like porcelain veneers. Whereas porcelain veneers need the tooth reshaping, composite veneers are less destructive to the tooth and can be placed directly on to the tooth in one visit. If the gums are not in harmonious positions, this will affect the symmetry of the teeth and your smile. 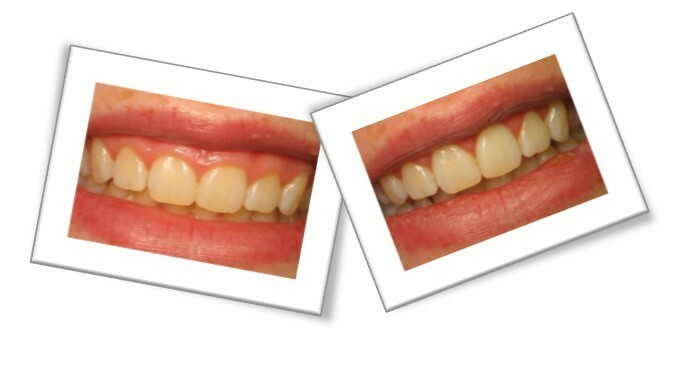 With a simple surgical procedure we can re-contour the gums to produce a wonderfully aesthetic result you will be confident to share with others. For patients with heavily receded gums, a simple prosthesis can be constructed to replace the missing gum tissue, providing a comfortable, natural and aesthetically pleasing result. A porcelain veneer is a very thin facing of porcelain that can be applied over damaged, discoloured, or misaligned teeth. Unlike a composite veneer the porcelain veneer is generally constructed off the premises by a laboratory technician. The lab constructs the veneer by working off a highly accurate impression of the prepared tooth. As there is no dark metal substructure our skilled technicians can confidently reproduce the natural layers of our teeth with porcelains of different shades. This gentleman was unhappy with the appearance of his teeth. 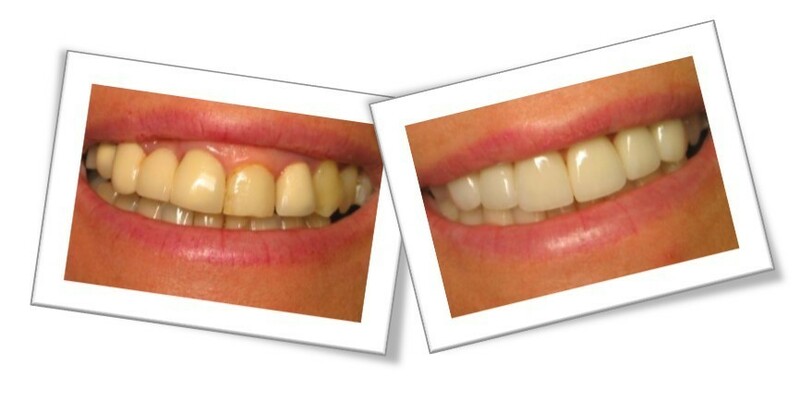 A whitening treatment and the use of shade matched composite resin materials created a lovely smile with no biological damage to the underlying teeth. See more of our fantastic results at our Case Studies page. We accept referrals for dental implant treatments, digital radiographs, CBCT scans, orthodontics and complex restorative treatments.